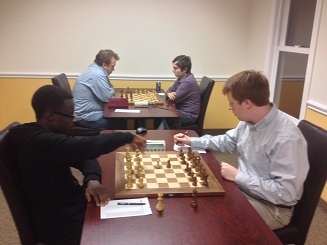 The last Friday Night Action of January drew three strong masters to the top quad. FM Leif Pressman won all three games to win sole first place. Meanwhile, the second quad was a very close finish. 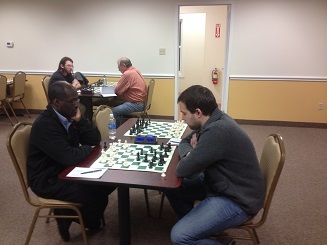 Guy Colas was the favorite going into the final round, but CCFC Instructor Robert Steindorf went up a piece in the middlegame and it looked as though he would score an upset. Colas however put up a very tenacious defense and managed to force a draw. In the end the two finished tied for first with 2.5/3 each.